Yes, Add me to your Mailing List for Special Online Offers! 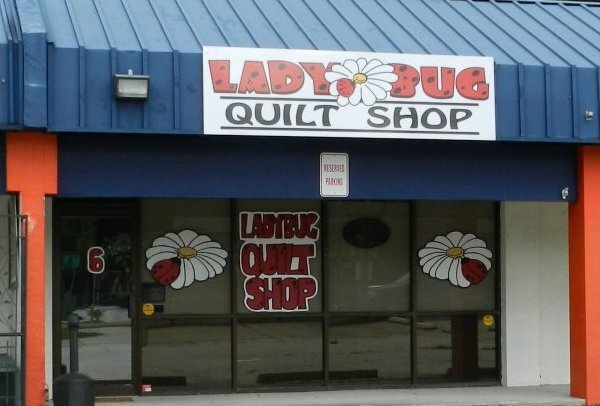 Ladybug Quilt Shop respects your privacy. We do not sell, rent, loan or transfer any personal information regarding our customers to any unrelated third parties. Order Verification Invoices Updates about our products, services and upcoming events. Ladybug Quilt Shop uses a feature on your Internet Web browser called a "cookie" to assign a unique identification to your computer. We do not gather any information on you from any cookies, nor can we gather or change any information on your computer from our cookies. These cookies help us to track the number of visits you make to our site, as well as to keep track of various pages you click on as you go through the Ladybug Quilt Shop Web site.